A-HOTEL.com - Luxury and cheap accommodation in Topki, Russia. Prices and hotel, apartment booking in Topki and surrounding. 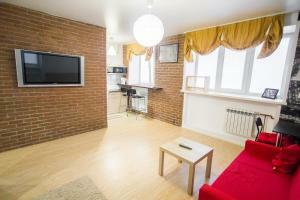 Set in Kemerovo, Студио апартаменты Времена года offers accommodation with a balcony and free WiFi. The property features city views. Located in Kemerovo, Apart-Hotel Avanta provides accommodation with free WiFi and a kitchenette. The aparthotel offers a flat-screen TV and a private bathroom with free toiletries, a hair dryer and shower. проспект Ленина, 37 is set in Kemerovo. Guests may enjoy the free WiFi. Featuring accommodation with a balcony, Апартаменты на проспекте Ленина, 39/2 is located in Kemerovo. Guests staying at this apartment have access to a fully equipped kitchen.